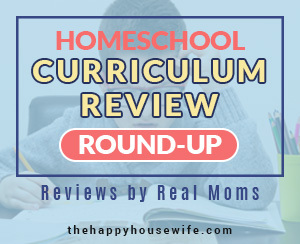 Are you studying the human body with your kids this year? 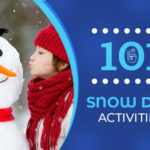 Kids of all ages can benefit from learning about their body systems, how they work, and how to keep themselves healthy. Since little ones often have ear infections, the ear and its canals is a great place to start. Even the youngest of your kids can appreciate the fun of the teeny tiny bones and ear canals. Start your lesson off by asking your children what function their ears serve. Talk to them about the shape of the ear – that it’s a perfect funnel for sound waves. Depending on your children’s ages, you might want to discuss that sound travels in waves and we hear its vibrations. Those vibrations are transmitted to the brain for interpretation. 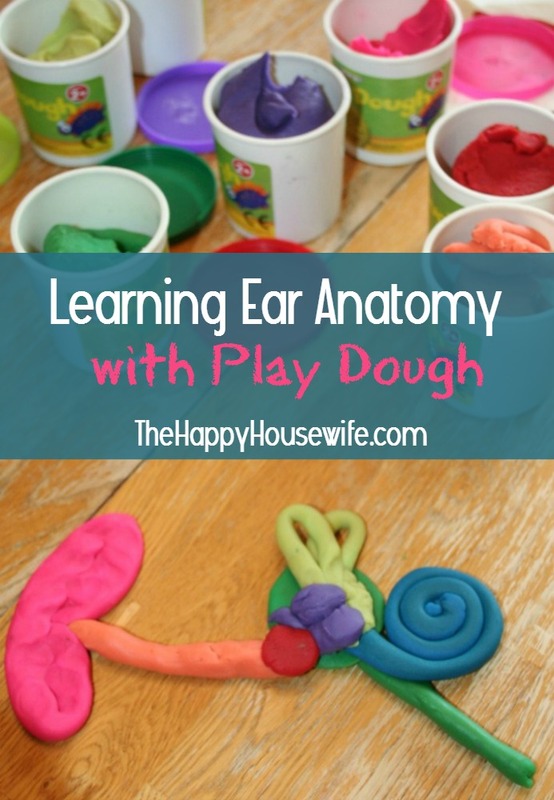 Using a diagram like this one found at Enchanted Learning, create a model of the ear using different colored play dough for each part (here’s how you can make your own play dough). Talk about each section of the ear, starting with the outer ear. The outer ear is the part we see. It’s made of flesh and cartilage. It collects the sound waves and funnels them into the middle ear. The part you see on the side of your head is called the pinna. Have your kids choose a color and flatten it into an outer ear shape as you talk to them about it. We kept the diagram up on our computer while we worked. While you continue talking, have your child choose a different colored dough and show them the meatus, or ear canal. This is the canal that directs sound waves from the outer ear to the middle ear. it’s time to make that part and add it to the pinna. Follow the path of the ear canal to the middle ear on the diagram you have showing on the computer, and explain that this part is made up of tissue and bone but no skin. It’s the place where those sound waves are translated to vibrations. The middle ear is also where most infections happen. 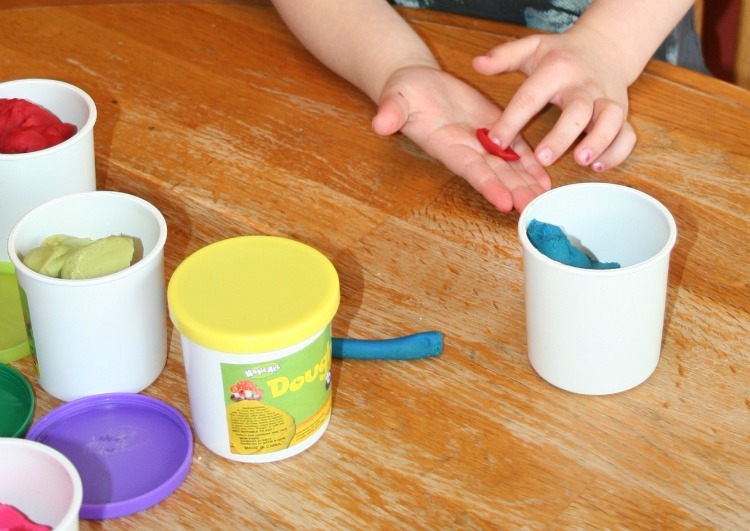 Stretch a thin layer of play dough (in a new color) at the end of the ear canal. This is the tympanic membrane, or the eardrum. Ask your kids what a drum does. The ear drum works the same way. The thin membrane vibrates when the sound waves hit it, changing the pressure of the waves, and turning it into mechanical energy that can continue on its journey. From there, the three tiniest bones in the body are activated. The malleus, or hammer, vibrates as the sound waves vibrate the eardrum. It passes those vibrations on to the incus, or anvil, which then passes them along to the stapes, or stirrup. Direct your child to use three separate colors to make these bones. From the stirrup, the vibrations are carried on to the inner ear. This is the place that is responsible for translating those waves to the brain where they can be interpreted through fluid that helps keep the system in balance. The cochlea is a spiral tube covered in a stiff membrane. That membrane is covered in nerve cells called ear hairs. Each of those hairs are designed to pick up on a different type of vibration, called frequencies. As the nerves vibrate, the different frequencies are translated into electrical impulses. Have your child choose another color to make the cochlea and attach it to the stirrup. From the cochlea, the auditory nerves pick up those electrical impulses and carry them onto their final destination in the brain. 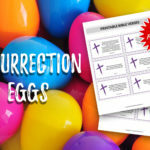 While these are important to point out, we didn’t include them in our model, though you could have your child choose another color to make them out of if you’d like to. Finally, explain that semi-circular canals are attached to the cochlea and the nerves in the inner ear and are filled with fluid. They send signals about balance and head position to the brain. The eustachian tube drains fluid from the middle ear into the throat. 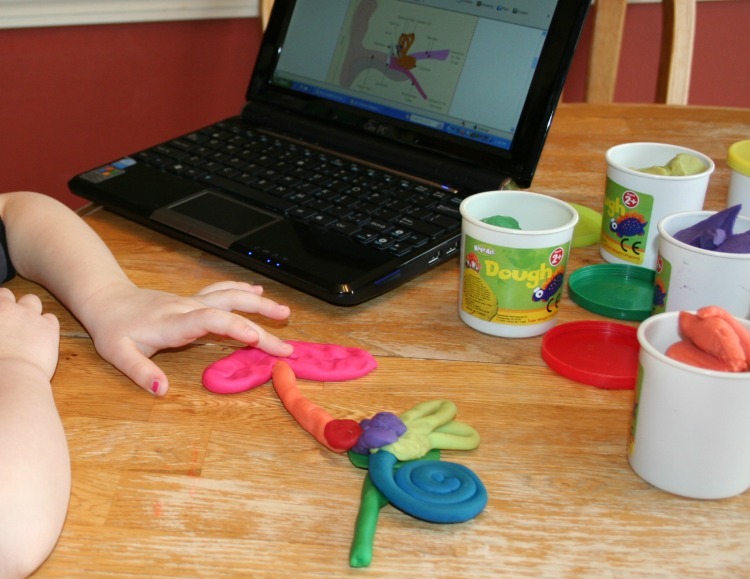 For the last time, have your child choose a new color of play dough to add the eustachian tube to their model. 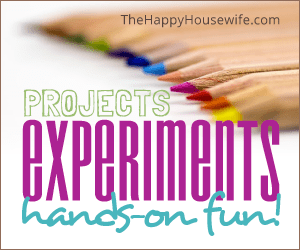 Hands-on learning is fabulous for topics like this. 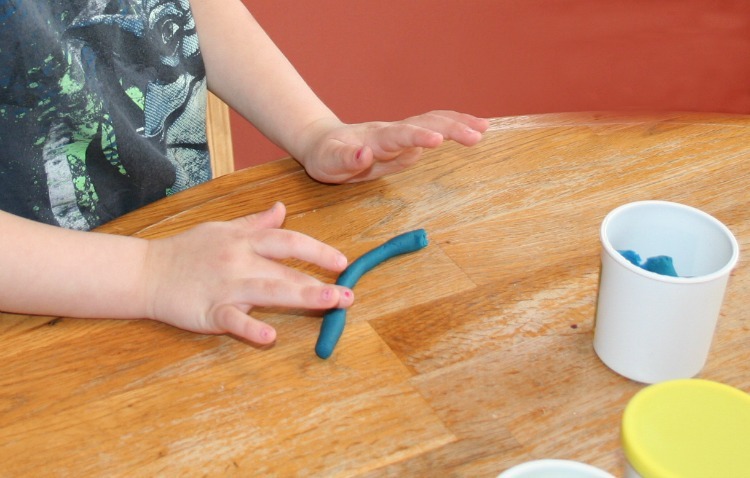 While you spend time discussing ear anatomy, your child is busy listening, looking at the image, and using their hands to form the parts with play dough. They follow a system from part to part, all the way to the whole, and engag the auditory, visual, and kinesthetic parts of their brains. Using multiple modalities to learn something new increases the likelihood they’ll remember it. Human Skeleton Model – a 41 piece skeletal model that stand 9.2″ tall once assembled. Includes a stand and assembly guide. Little Labs: The Human Body – a 48-page, full-color illustrated guidebook, this kit teaches human biology fundamentals with step-by-step, hands-on experiments.